Kababs are specially roasted or smoky form recipes specially made for meat lovers. Seekh means thin rod, which is passed through small pieces or processed meat. As these thin rods are used for roasting beef or making the kabab it is named as seekh kabab. 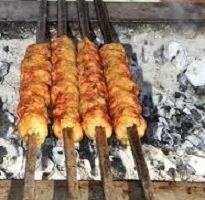 This type of kabab is found almost in every country as a very old and traditional food item. Here I described seekh kabab recipe so that you can make it at home easily. In earlier days people used to roast animal meat directly over the fire flame. But now a day’s it is heated directly over the burner using iron rods. For smooth heat on all sides, charcoal, or some special type of wood made of rice-screen called ‘tush’ are used in the burner. In South Asian countries, people visit kebab shop in the afternoon/evening for eating hot seekh kabab with paratha or naan. Seekh kabab recipe is rarely made at home as the recipe needs the special type of burner and different spices for marinating prior to cooking. Small and portable kabab burners are available in the market these days. You can use this for seekh kabab recipe. Sultana’s recipe guides you how you can make this recipe at home with little bit effort. A good number of spices are required to marinate the seekh kabab prior to cooking. Marinating is important because the meat absorbs the spice contents during the marination. Then after, cooking on the burner is very simple. Cut beef into cube sizes or if you want you can mince the beef. Wash and rinse it very well. Mix the beef with papaya paste, mustard paste, chili powder, hot spice powder, lemon juice, yogurt, ginger paste, garlic paste, cumin powder, tomato paste, and salt. Marinate the beef for 5-6 hours. Soak the stick in a cold water for 30 minutes. 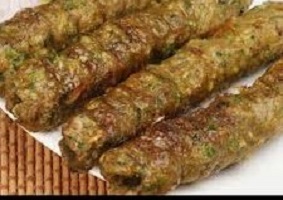 Pass the through 6-8 pieces meat one after another in each stick, called seekh (approx 5-10 mm size rod). Put sticks of beef in the hot smoke of the BBQ burner. Turn over the sticks for even heat on all sides. Once the beef pieces in the stick are roasted and oil dried up, apply butter oil. After 5 minutes, take the steaks out of the burner. Take out the roasted beef pieces off the sticks to the serving plate. Serve with salad and naan or paratha, while seekh kababs are still hot. Its smell is so attractive that when you will pass through this you will want to eat it immediately. 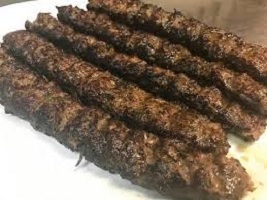 If you like my seekh kabab recipe please share this recipe with your family and friends.